Harriet Beecher was born in 1811, the 7th child of a well-known protestant preacher. In 1836, Harriet married widower Calvin Stowe and they eventually had 7 children. Stowe helped to support her family financially by writing for local and religious periodicals. During her life, she wrote poems, travel books, biographical sketches, and children's books, as well as adult novels. She met and corresponded with people as varied as Lady Byron, Oliver Wendell Holmes, and George Eliot. She died at the age of 85, in Hartford Connecticut. In 1832, the Beecher family moved to Cincinnati, where her father, Lyman Beecher, had accepted a position as president of Lane Theological Seminary. Harriet accompanied her father. While in Cincinnati, she met Calvin Stowe, a professor at the seminary. They fell in love and were later married. It was also during this period living in Cincinnati that Stowe became an abolitionist. Kentucky was a slave state, and Ohio was free, but not without more than a few sympathetic to the rights associated with slave states. Thousands of runaway slaves passed through Cincinnati as they traveled north to freedom and safety along the Underground Railroad. While in Cincinnati she became friends with several Ohio abolitionists, including John Rankin, whose home in Ripley, Ohio served as a stop on the Underground Railroad. The stories she heard from runaway slaves and Underground Railroad conductors while living in Cincinnati served as the basis for her book, Uncle Tom's Cabin. 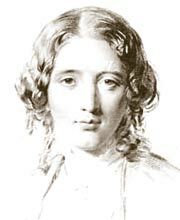 While she wrote at least 10 adult novels, Harriet Beecher Stowe is predominantly known for Uncle Tom's Cabin, first published in 1852. The novel actually began as a serial for the Washington anti-slavery weekly, the National Era, it focused public interest on the issue of slavery, and was intensely controversial throughout the country. While living in Cincinnati, Harriet became a member of the Semi-Colon Club, a local literary society in which members wrote articles then discussed by other participants. Her experiences in this club sharpened her writing style. During her early married years, Harriet began publishing stories and magazine articles to supplement the family income. She also co-authored a book, Primary Geography for Children. After the publication of this book Harriet received a special commendation from the bishop of Cincinnati because it conveyed a positive image of the Catholic religion. Harriet's religious tolerance was unusual for Protestants at the time. In 1850 Professor Stowe joined the faculty of his alma mater, Bowdoin College in Brunswick, Maine and the Stowe family moved to Maine and lived in Brunswick until 1853. The house 2950 Gilbert Avenue was the Beecher's home while they lived in Cincinnati for nearly 20 years, from 1832 to the early 1850's, before returning East. Shortly after leaving Cincinnati, and basing her writing on her experiences in Cincinnati and first hand information she gained from talking with Rev. John Rankin, Harriet authored her first book. Published just after the fugitive slave laws were enacted by the Congress in 1850, the book made Harriet Beecher Stowe a household name in the United States. Uncle Tom's Cabin has been published in over 75 languages and is still an important text used in schools all over the world. Written at a time when women did not vote, did not have legal rights, or could not even speak in public meetings, Uncle Tom's Cabin became an important part of the social fabric and thought that eventually forced the country into Civil War, and the southern slaves to be emancipated by President Abraham Lincoln in 1863. Uncle Tom's Cabin is a remarkable example of how one person can impact the lives of millions of people. Today, the Stowe House offers cultural events and programming. 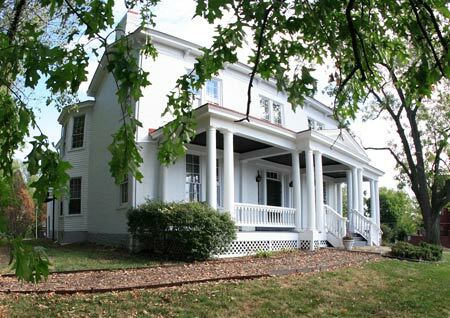 The House and grounds are available to groups for rental, for both meetings and special events. At the middle of the 19th Century, Ohio was a state divided on slave issues. Part of the state felt it was the right of states to determine the issue of slavery, while others felt the federal government should outlaw slavery. Even in the same town, differences were sharply divided and armed conflicts occurred regularly. Even though Ohio was a free state, it was not a safe state for runaway slaves. Even with the help of 1000s of sympathetic citizens, runaway slaves were constantly in danger of being captured and returned. Prices were put on the head of any runaway, which made capturing an escaping slave a profitable enterprise. Even those who helped the escaping slaves were at risk of being imprisoned and the loss of their property. The Underground Railroad existed because of these conditions. Obviously, it was more dangerous for a slave to remain in southern Ohio than further north, but even then there were no guarantees. The drive for freedom forced the runaways to head for Canada. It was only then that they could be absolutely safe. The early years of our country generated intense racism, even in people who were against slavery. The culture of blacks and for that matter, any race other than white, was so foreign to whites that they could not comprehend that these people were the same as them. It took more than the Civil War to free people from this distrust.